Lucas Martino, a top US scientist literally crashes and burns near the Russian border, at a time when the two superpowers were enemies. His life is saved by soldiers who cross the border and rush him to hospital. Months later, he's returned to the west, but the rushed and experimental surgery that saved his life now obscures his identity. His head and chest are now encased and partly replaced with steel and prosthetic parts. It's up to US security chief, Sean Rogers, to verify whether it's still the same man behind the mask, before returning the scientist to a top secret project. He soon finds out that Martino has been in the hands of a senior KGB agent, Colonel Azarin, who may have sent back an agent in place of the scientist. 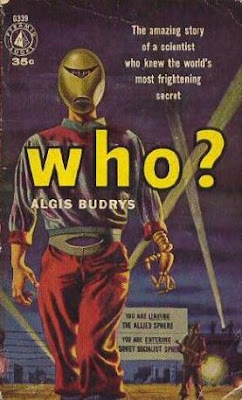 Based on a book by the late Algis Budrys, the movie uses its parallel timeline structure - alternately following Roger's attempts to debrief the scientist, while flashing back to the events behind the Iron Curtain. We see Martino being interrogated both by the Russians, and subsequently by the Americans. The film is a straightforward re-telling of the novel, but adds a couple of silly action scenes, like a decidedly low-budget car chase, to try and open up the story. It also misses the opportunity to explore what's going on with the man behind the mask. Elliott Gould (Capricorn One, MASH), as security agent Rogers, holds the film together. Trevor Howard (11 Harrow House, The Offence) plays the devious Azarin, the Russian mastermind behind the entire subterfuge. Though they never meet, the film plays like a chess game between the two men. Joseph Bova as Martino, evokes sympathy as the masked mystery at the centre of it all. If it weren't for Gould and Howard and the Miami location work, Who? looks low budget enough to be a TV movie, with ineptly directed action scenes and nothing going on dramatically besides the unravelling mystery. This was once an intriguing premise, the possibility of a scientific identity theft. But now, with DNA testing, the mystery could be cleared up definitively. Admittedly in Who?, the use of fingerprints and retinal scans are considered, so I'm sure a modern plot twist could outfox DNA tests as well. Until recently, Who? 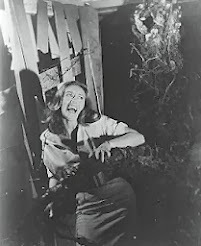 had a terrible presentation on home video. 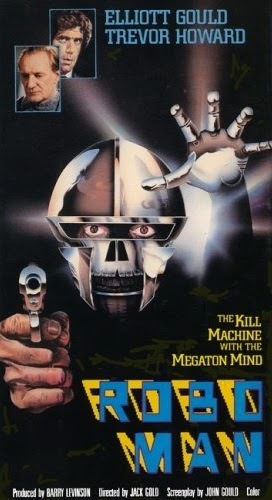 It was called RoboMan for the US VHS release. Full-frame, E.P. recording, with this terrible and misleading cover art. 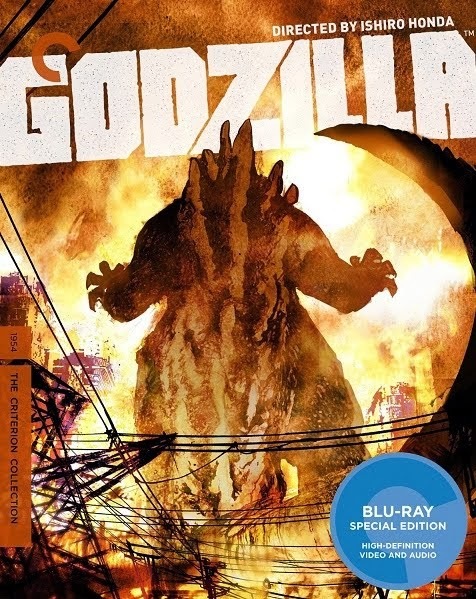 Eventually there was a US DVD release in 2010 (cover art is at the very top). 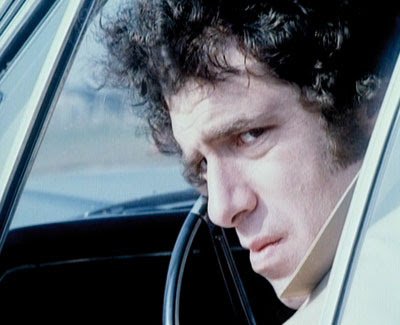 The details on Amazon promise commentary tracks, one from Elliott Gould and one from director Jack Gold. 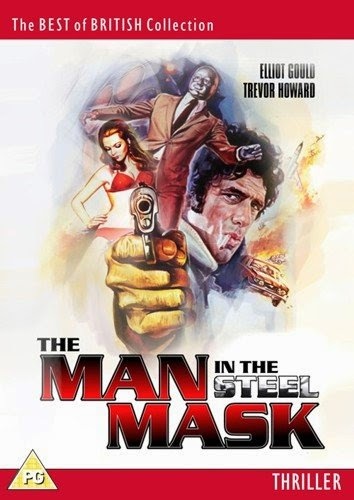 In 2014, it was released on DVD in the UK, again with a title change, The Man With The Steel Mask. However the Who? 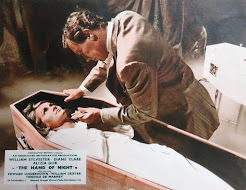 title art appears on the inner sleeve and the onscreen title is still 'Who?'. It's presented in 16:9 anamorphic widescreen, but without any extras. Not essential viewing, but of interest to fans of the author, and anyone who may remember it from late-night TV twenty-odd years ago. Good news. I'll keep a look out for news of a release. Coming to DVD in the US in November 2010.